Free SMS Worldwide | Worldwde text message. Send Unlimited Free Text All Over The World | envia mensajes gratis. Send free sms to your friends without register. FrFreesm*Free SMS .Receive SMS Online.. Voice SMS. Free MMS. FlashSMS..Free Calls . 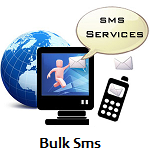 BulkSMS. Speed Test. *Contact *TOS.